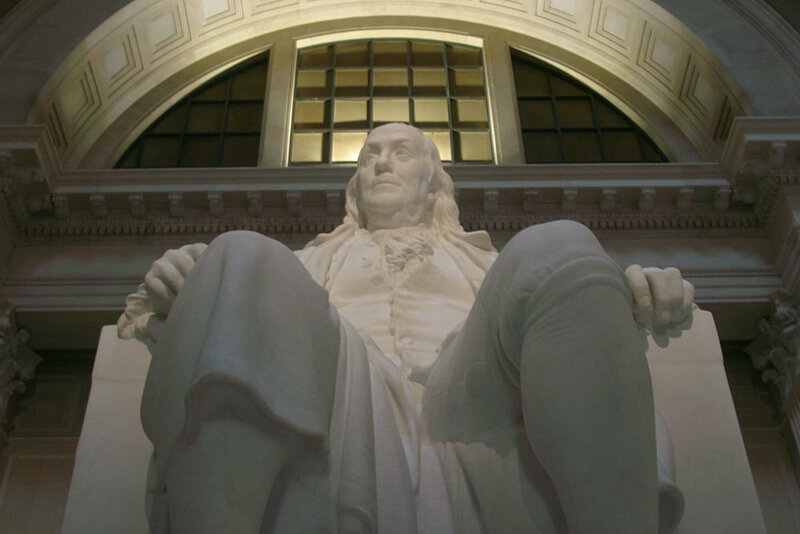 The colossal Ben Franklin statue was sculpted by James Earle Fraser between 1906 and 1911. It stands close to 20' tall, weighs upwards of 30 tons, and was designated as a national memorial by congress in 1972. 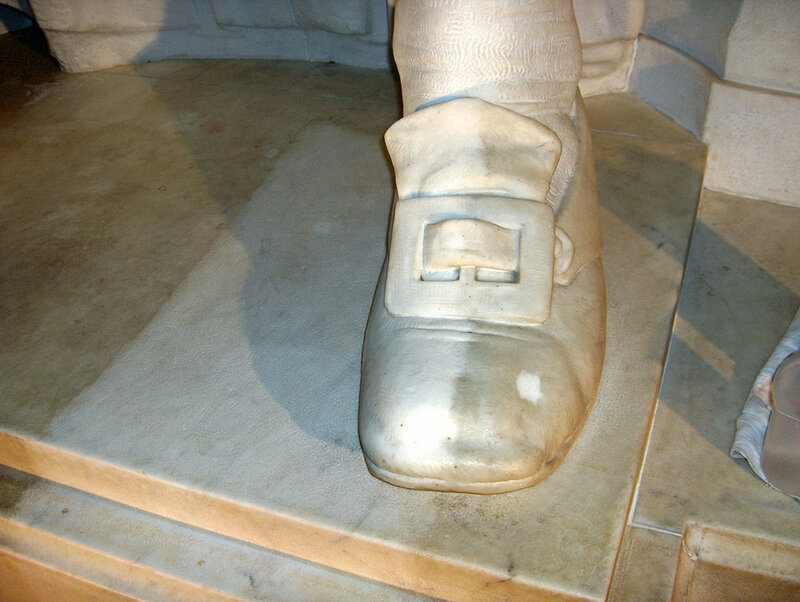 The Franklin Institute in Philadelphia contracted B.R. Howard to perform a condition assessment followed by a conservation treatment of their Ben Franklin Monument. Before any conservation treatment occurred, B.R. Howard extensively photo documented the pre-treatment condition of the monument. The marble sculpture had been disfigured by a dark layer of embedded dirt and grime that had accumulated over many years. First, scaffolding and articulating lifts were brought in to assist in the cleaning process. All surfaces were then washed multiple times with a dilute solution of specialized stone cleaner until the marble was uniformly clean. Then, the sculpture was rinsed repeatedly with distilled water. Specialized cleaning gels and poultices were applied along the lower sections of the large base to remove yellowish wax deposits that had been applied to the floor. The sections of failing grout were carefully removed to the depth of approximately 1/8th inch and filled using colored matched Jahn Mortars.